Anugrah Narayan College was established in the year 1956 at Patna high school as Gardanibagh Tutorial College to be run in the evening shift. 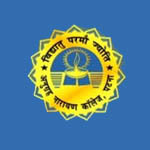 This college was renamed as Anugrah Narayan College in the year 1959. The college was shifted to Anisabad in rental building. By the initiative of Patna Development Trust, the college shifted to its own present site. Anugrah Narayan College is affiliated to Magadh University as a constituent of University and approved by AICTE. College is awarded with grade ‘A’ and accredited by NAAC in 2012. UGC declared and awarded this college as a college with potential for excellence in the year 2004. Anugrah Narayan College is situated between boring road and Indrapuri road at Sri Krishna Puri in Patna district of Bihar. college located in city environment and well-connected by road and rail with nearby cities of Bihar and surrounding states. The campus is sited over an area of 13 acres of land. The campus has total 5990 students pursuing their education. The college offers more than 654 seats from all departments. The campus has well-ventilated and spacious classrooms, equipped laboratories & workshop, rich library with huge volumes, internet connectivity, seminar hall, transportation, language lab, canteen and sports facilities. The campus has Korean centre, sports council and women development cell. The campus conducts the NCC and NSS activities. The college has teacher’s and non-teaching associations. The college conducts various co-curricular and extracurricular activities.